During my 24 Days of Christmas Printables for Toddlers last month, I tried something new and took my popular toddler matching game layout in a different direction with a letter matching spin (and the option of editing the pdf file). It ended up being one of the most popular printables in the whole series, and I’ve had several requests for a less seasonal theme. 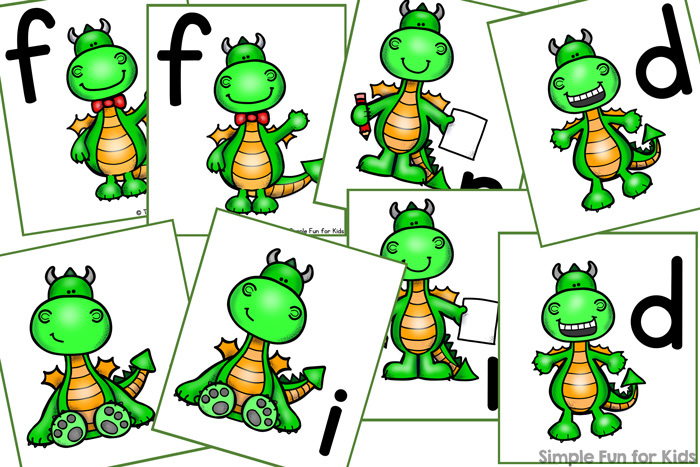 So here it is: Friendly Dragon Lower Case Letter Matching Game! 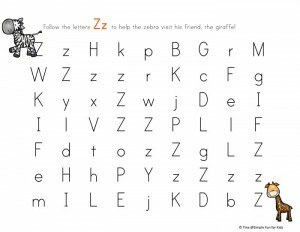 Like the Christmas version, the file is editable, so you can add your own letter combinations (or even numbers or other things you’re working on). The file consists of five pages with images of six friendly dragons on each page and a lower case letter of the alphabet next to each dragon. On the first four pages, you’ll find letters a through x; these pages are NOT editable. The letters on the fifth page are all editable. The first two editable fields are prefilled with the letters y and z, so you don’t have to edit if you simply want to use the entire alphabet. Or edit all of the text fields on the page to work with custom letter combinations, letters or other learning objectives. After you’ve tweaked the last page to your own specifications (optional), print out two copies of the page(s) you want to use, laminate them for durability (optional), and cut either one or both copies apart at the green lines. 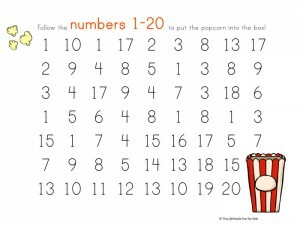 Play a matching or memory game at a skill level that’s just right for your child. Alternatively, the cards also make great flashcards, alphabet sorting cards, beginning sound cards, etc. 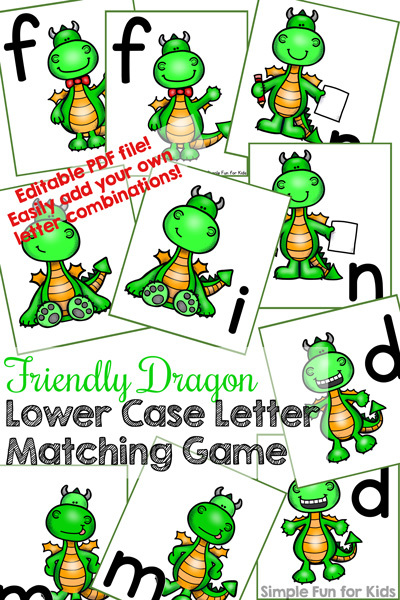 Download your Friendly Dragon Lower Case Letter Matching Game! 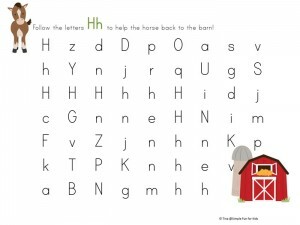 Are you looking for more letter matching activities? I’ve picked out a few for you! i can’t download or find the dragon letters even after subscribing. can you help please? Hi Carrie, I’m so sorry to hear that you’re having trouble! I sent you the link straight to your inbox.